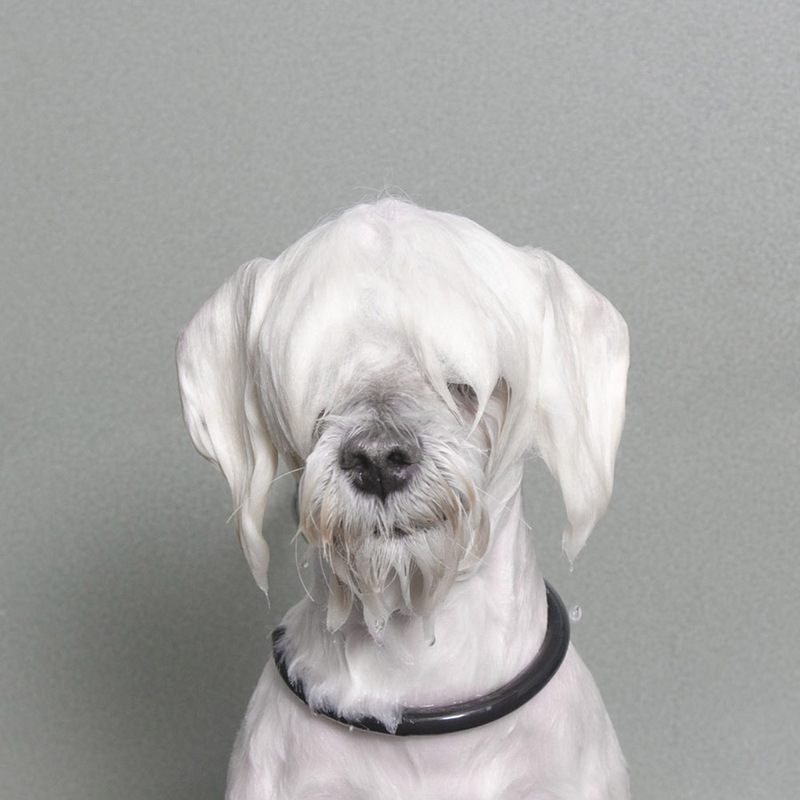 Wet Dog is a series of dogs captured at the groomer during their least favorite activity: bath time. I chose this activity because it is a very unnatural one for the dogs, yet it is a direct consequence of their cohabitation with humans. 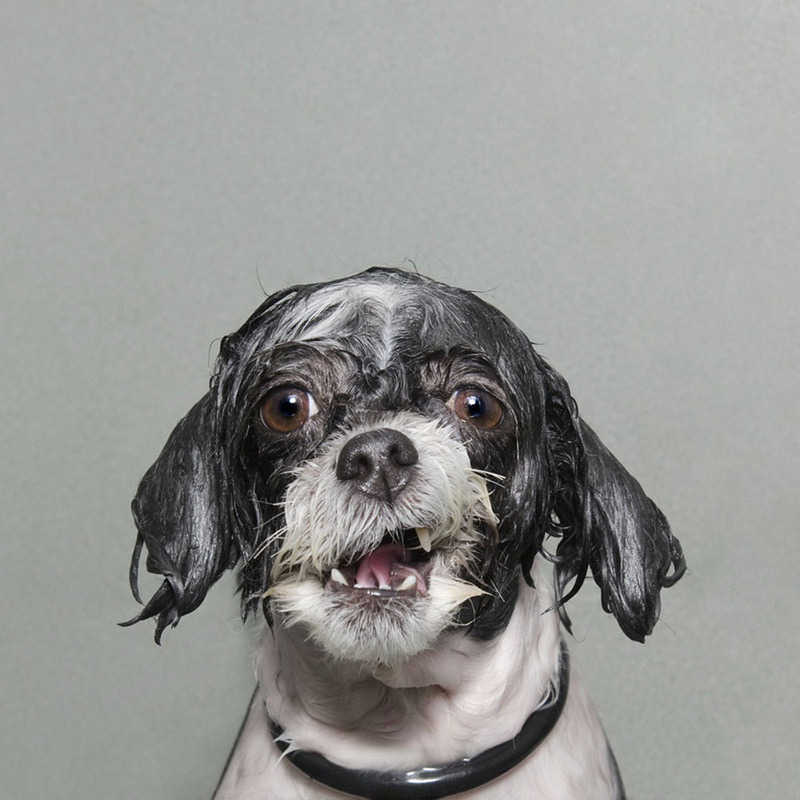 Domesticated dogs need to be washed for hygiene, health and social reasons. 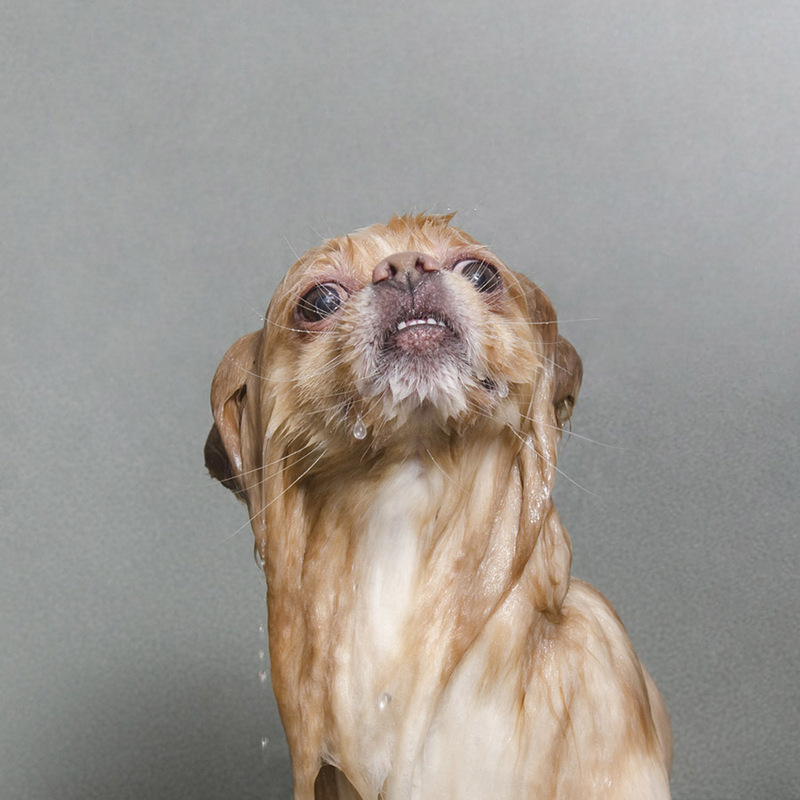 Exposing the dogs at a vulnerable moment enabled me to capture their wide range of expressions. Poignant looks, despair, anger and even judgment can be read into their eyes. 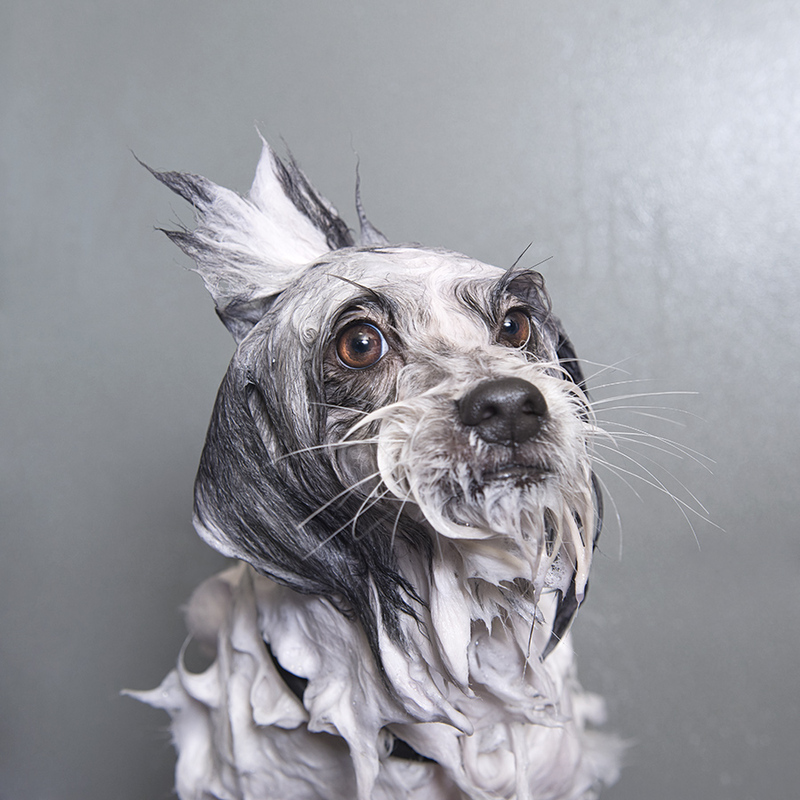 Dogs have become more than animals and have acquired a status of persona, especially in big cities like New York. 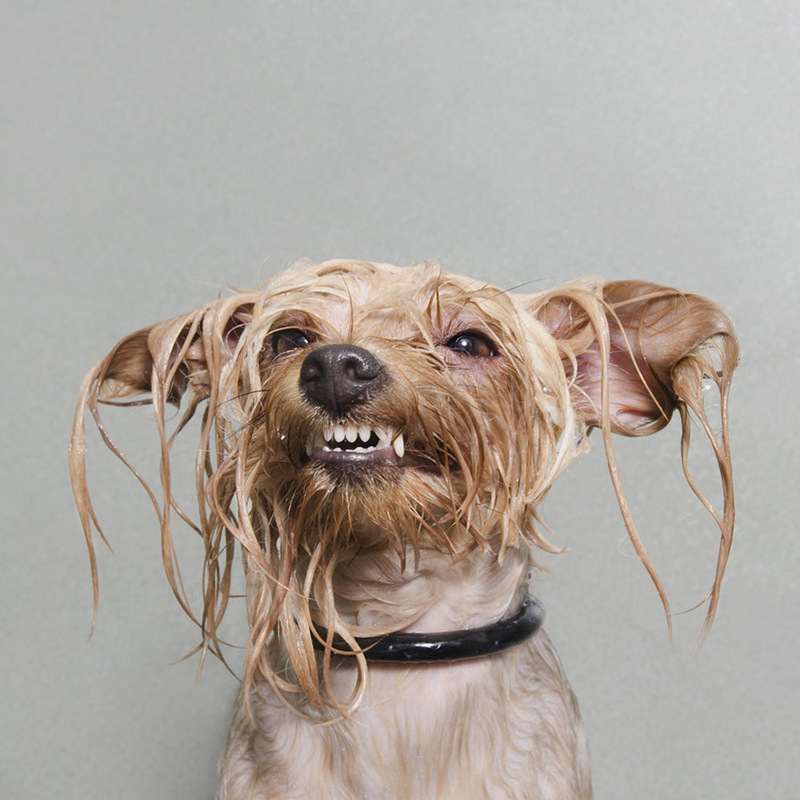 People here have difficulties developing meaningful relationships with their peers, and often turn to dogs instead. 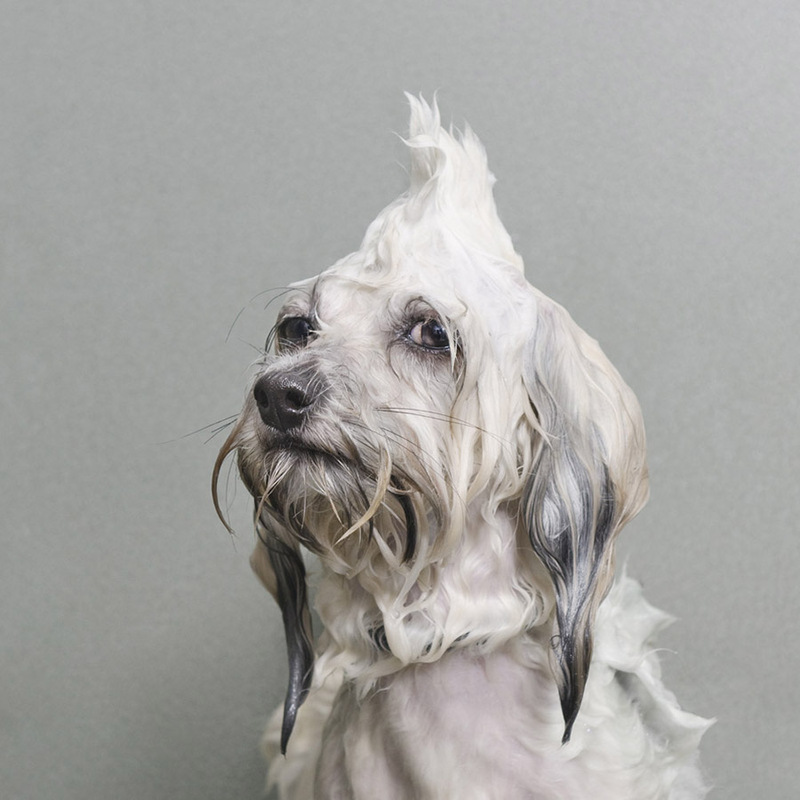 The dog becomes the confidant, the best friend, replacing spouses or children. Throughout the past millennia dogs have been subdued, manipulated genetically, trained, modified into perfect companions. Dogs are the first example of Man acting like a God towards Nature. Are the wet dogs beckoning us the same way humanity reaches out for her own gods, asking the Almighty the reason behind their suffering? 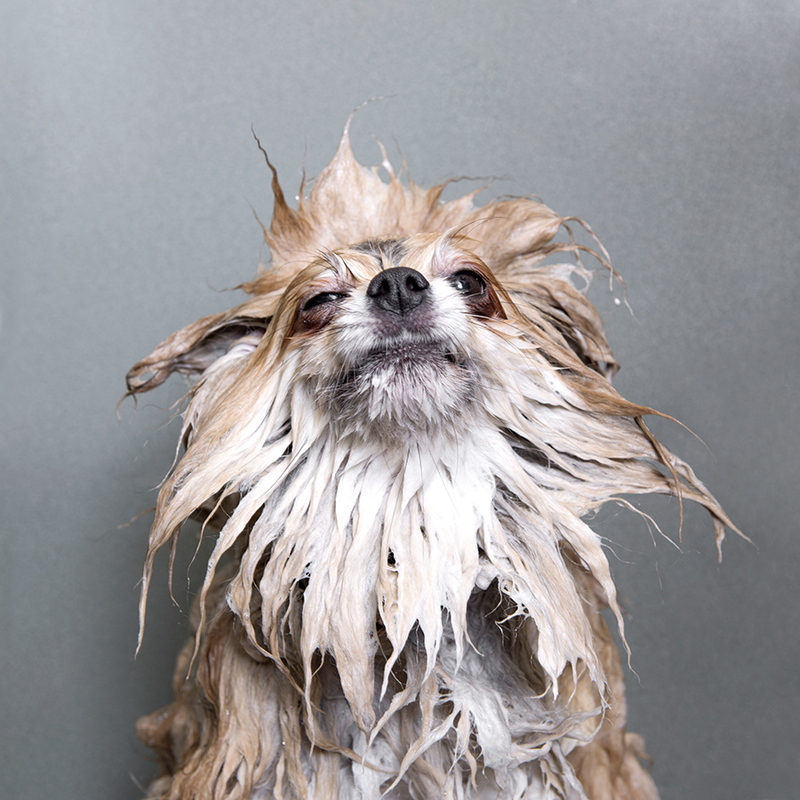 The urban dog has become a mirror to our own condition and our solitude. 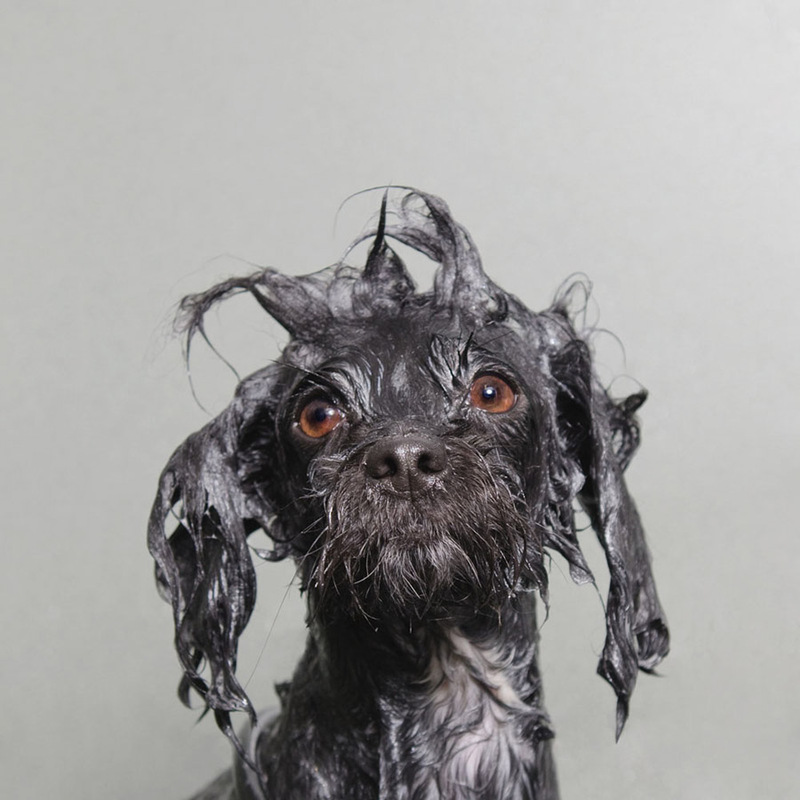 My Wet Dog book is out! Check out this page for more info. 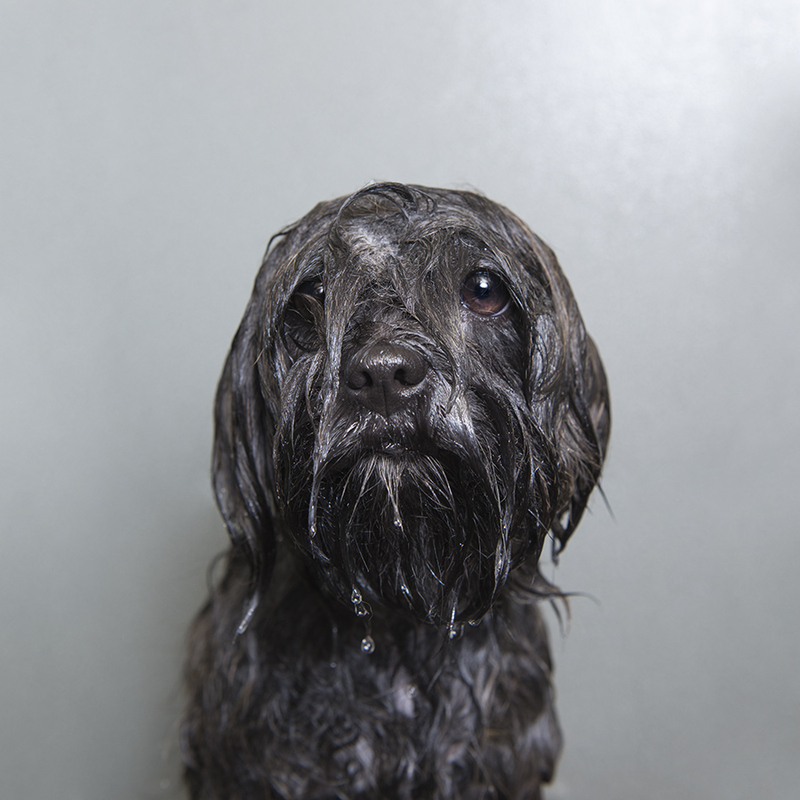 The Wet Dog series has won the Portraiture category of the Sony World Photography Awards 2014, the Fine-Art/Portrait category of the International Photography Awards 2014, and has been published in numerous online and paper publications. Prints are available for purchase, contact me directly.